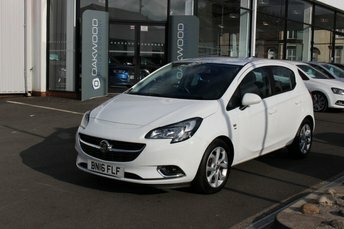 This fantastic example of the Vauxhall Corsa is in wonderful condition and is fitted with Apple CarPlay, Android Auto, Bluetooth telephone and media use, DAB Digital Radio, electronic Air Conditioning, automatic Lights with LED Day Running Lights, Cruise Control with a speed limiter and Drinks Holders as well as a multi function Steering Wheel with City Steering. This car has had one owner from new and has been well looked after and maintained with two services. Bluetooth telephone and media use, FM/AM Radio, Cruise Control with speed limiter. 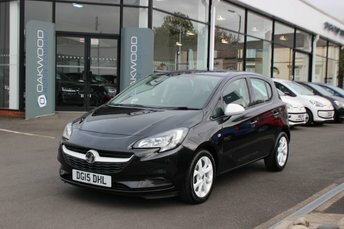 This Vauxhall Corsa is an excellent choice for a first car and is fitted with USB connectivity, City steering, multi function steering wheel, Air Conditioning and Drinks Holders for the front and rear. One of Vauxhall's most popular models and for good reasons. The Corsa manages to offer the perfect blend of style, refinement, fun and value for money, ensuring this city car is a tough vehicle to beat. It has a keen sense of itself and offers the right level of practicality while keeping things interesting. The best way to discover one of the used Vauxhall Corsa models for sale in Stockport is to get behind the wheel. Contact a member of the team at Oakwood Motor Company Ltd today and find out how simple it is to test drive one of our pre-owned cars. Start your search here on the website and get in contact with any questions.